August 3, 2016 update: If you want more explanation of the details of how I feel about this and why, watch NicktonAquaMagna's "Journey to Done - The REAL reasons why Bionicle failed." Seriously. Watch that. It's long, but densely packed with real, non-rambling, non-repetitive, hard-hitting content. He's a fellow realist who separates the objective and the subjective and isn't afraid to call out what's really going on across numerous fronts without tainting it with an excess of personal bias. He's a valued long-time viewer, but we've only ever interacted in a tiny handful of public YouTube comments. However, the observations & deductions he shares in his video match my own to within probably a 5% margin. It's uncanny. LEGO today announced the (second) absolute end of Bionicle. I'll be honest with you -- I'm relieved. Sales were very poor from the start (I watched the actual numbers in near-realtime when Brickset was still able to track & display them), a large portion of G1 fans were uninterested in anything non-G1 (regardless of its form), and the first two Netflix episodes came out far too late & were far too brief to effectively capture new fans. With its conservative marketing budget, it was almost dead on arrival. The only hope for any sort of real revival rested in the hands of new fans who, in turn, never materialized. For my part, I made a strong effort to refine my large action figure review style to raise the bar and establish a new standard (for others to copy, wink wink). I made a decently massive MOC very early on to begin the fight against the baseless "you can't MOC with CCBS" argument. I re-bought some G1 models and made a generational comparison to demonstrate the merits of the newer building system and the value proposition of the new sets. I even transported my self-MOC back to the Bionicle universe and gave it a very shiny upgrade. However, a couple weeks ago, what you see in the photo above, happened. Since the reboot hit stores in late 2014, I had maintained a persistent display of the latest official Bionicle builds from which I could conveniently draw individuals or sub-groups to compare to newer releases. It was a part of not only my process, but my very home. Eventually the writing on the wall became too clear, though. Bionicle was no longer worth my time. First I cut back on the most time-consuming segment of my review videos, then I cut it out entirely to make more time to produce the content that so many more of you ask for every day. Most recently, though, with one arm I held a big plastic tub under my Bionicle display shelf, and with the other arm, emptied said shelf into said tub with one big swipe. My backlog of items to prep & donate to The Giving Brick had just gotten a whole lot larger. I was 95% done with Bionicle, with that last 5% of me squinting warily at the horizon, waiting for leaked photos from the next release season. If LEGO didn't come up with something truly awe-inspiring for what I was certain would be the final wave, I was going to skip it entirely. Well, Giving Brick, you've got a package incoming! I feel like I've been stung one too many times. This LEGO large action figure thing just isn't working out. I still maintain that Hero Factory was a great concept, but they failed miserably at developing its potential as a creative theme involving fans designing and building custom 'bots to battle an ever-evolving ecosystem of baddies. Super Heroes "Ultrabuilds" were a viable concept for very young kids (as other manufacturers have proven), but they looked pretty bad. Chima figures had almost no connection to the series whatsoever, existing for a second or so at a time in the TV show. The Star Wars figures sell because they're Star Wars, and some of them actually look good, so I'll keep covering those for now. Just don't expect me to cover any more original-IP CCBS-based themes unless LEGO figures out a more viable formula. Addendum: I went ahead & watched the two new & last Bionicle episodes released today on Netflix. Once again the graphic style & quality was really good. The writing, though, was truly terrible. Words that come to mind include: Cliche, predictable, repetitive, low-brow, thin, shallow, unimaginative, disappointing, cringeworthy, sad, and forgettable. In fact, it felt almost insulting. The wrap-up, instead of leaving open the imaginative possibilities of a future of exciting adventures, essentially renders the entire franchise utterly meaningless. What an incredibly unfortunate way to go out. Well, that's upsetting to hear. Thanks for covering Lego's Buildable Action Figures up till this point. Sad it had to end like this. I was disappointed, still having high hopes for it's future. But you're right, it didn't sell and that's something no fan can do something about. BIONICLE was what kept me interested in Lego, so I don't know what will happen next, I just hope that they won't quit the action figure theme and come up with something interesting sometime in the upcoming years. That way I can still enjoy something I've grown up with. Gen 1 Bionicle was the single best original product Lego has ever had. The gen 2 sets were okay, but the new lore was just dumb. The thing that was so great about the old lore was that despite lego, being a happy, kid friendly, family friendly company, it was able to release a story that was so dark and gripping. Happy to see the new stuff go, not pleased with how it left. I feel like the lore had potential, just like the earliest work in G1 did long before it was fleshed out into what fans came to really appreciate over time. However, how they tidied everything up in the end by basically saying it was all a tiny, pointless, recurring loop, well that was just... awful. Killed the whole spirit and any potential along with it. You know Jang, you're really an excellent writer. While your post may entail bad news, it's presented in a compelling and well composed way. I'm no literary scholar, but I can definitely appreciate a clear and informed symphony of words like the ones you periodically post on this blog of yours. Keep up the great work! I hated the first wave on gen 2, but after that I had thought that the line was going uphill. Bionicle was the only Lego line I genuinely appreciated and enjoyed. Im very saddened by this, but I will still watch your videos even if there is no hope of Bionicle reviews. honestly it should have stayed, the fact that it died because g-1 fans were to stubborn for a little change upsets me a bit, i was happy to see bionicle, as a storyline and theme, back. this has been essentially ruined by stubborn g-1 fans not supporting bionicle as a whole is why the series killed off. Normally Mr.Jang I agree with you on most points, and I do agree with points in this blog post (Bad new story, and fans only wanting g1 stuff). I do have a few counterpoints though. 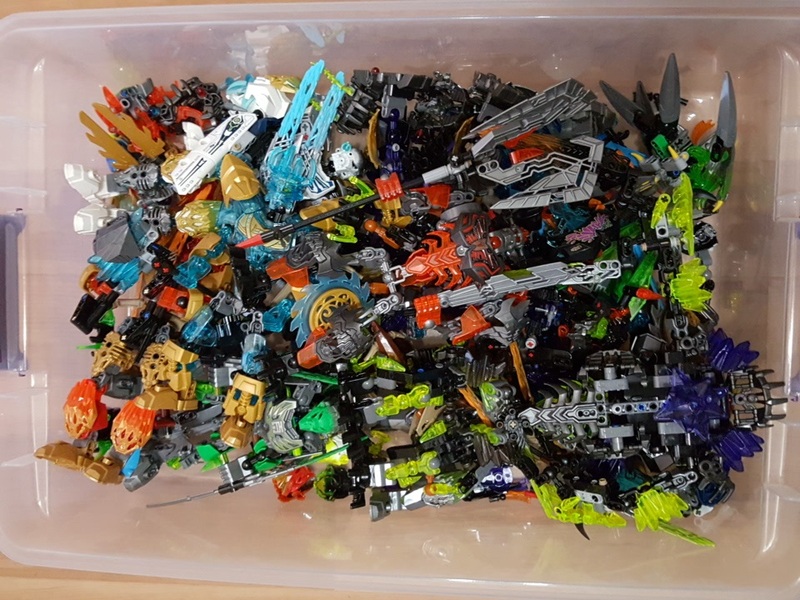 Firstly the Lego group had put up some tweets saying this "Overall the BIONICLE products have been successful, of course some more than others with variations across markets. However, we do not share detailed information regarding the performance of the products" meaning that no they did not sell bad. Now albeit they might be saying this to save face, but with how hard it is to find new sets in my area (I'm only including Wal-mart, and Target, because Toysrus has ridiculous prices), they sold great where I live. Final point is that they did have another year of story planned, and who knows it could have been the best year of story telling ever. All in all I understand the frustration with the ccbs line, and giving it up for other product coming out. I wanted my childhood to be back for at least 3 to 4 years, but hey i can hopefully come up with some of my own characters, and story. Keep on keeping on. Yeah I've seen their tweets, but I watched the near-realtime sales data for the Bionicle line on Brickset.com while it was available, which tracked the exact numbers of every item in stock at shop.lego.com in the European region at least, and the sets were moving out at a snail's pace even immediately after one of the big Toa releases. In my region, where I visit toy-stocking stores very regularly, I saw very limited numbers of the sets put out at all after the first wave. Stock did eventually disappear, but slowly, and it appeared that the total amount of Bionicle product shipped to my local stores was very limited and they didn't get much replenishment. LEGO as a company today is careful to limit losses and maximize profits. If Bionicle was truly a successful line, relative to any others, they wouldn't have decided to kill it off after just one year of a three-year original production plan (the decision was made months ago). I think it was missing more than just advertisement. G1fans were instantly turned off by all the flat panels(CCBS as well) and 0% lore. Yet Lego expected nostalgia to carry it into success when it was lacking everything that made the original generation a success. I've read the leaked pamphlet, which said make it bright, loud, flat and funny. Flash games were all the rage back in the day so let's do that again. During the second year Lego corrected many mistakes regarding this. They named their characters, gave us lore and got rid of unused balljoints. Personally I gave it a chance. I sort of liked it as a toy collector, and I was impressed by G2 Toa engineering. I was bothered by the flat ccbs panels a LOT, but not by the system. This is what I wanted to see from Bionicle Stars back in the day. Unfortunately the rest of the sets failed to catch my eye. The skull things felt too generic, the plain bone pieces were boring and not too good for building purposes. The Okoto people wore the same masks. The new Toa Nuva had awkward torsos and a HUGE one piece chest armor making them too similar. The creatures were a cute addon but lame in general, they didn't make you build a combiner. Lego is about building, action figures or not. The Beasts tried to approach different build techniques but they look rushed and unfinished. But most of all, did they seriously expect to sell each wave with only 3 new molds? excluding masks and weapons ofc. I'm sad about the fact that Bionicle is no more. I'm VERY sad about the fact that Lego lost an original IP. However I don't mind at all that these sets, and what they represent (lack of effort, low budget, bad execution, out of touch with the fans) is gone. You know, as a MOCist and collector, it really surprises me that not many people realize that there is no such thing as a perfect Lego set. Sure, we all may have different opinions with how we may portray a set, but what is really awesome about Lego sets is that IF YOU DONT LIKE THE WAY IT LOOKS, YOU CAN ALWAYS REDESIGN IT TO LOOK BETTER. THATS ONE OF THE JOYS OF LEGO SETS. You are allowed to customize a set however you see fit without anyone stopping yoy from doing it. Heck, how do you think I became a MOCist? It all grew from me redesigning Lego Sets to look better in my opinion and now it has graduated into me coming up with my own designs and ideas for Lego models that I wish to own. Bionicle is ending, yes - but why get rid of them? We all knew about the ending as they did tell us it would be a 3 year thing, but this is just a low blow from Lego. Especially how they hyped us up with the Makuta set and the MoUP which we will most likely never get. Hopefully those sets you giveaway will get in the right hands. if they had new characters and alternative colours it might have worked a bit better, ie orange instead of brown, a green and purple toa. The parts are VERY usable for creating characters and creatures, and every once in a while some artsy other thing. Frankly, that's all they ever had to be. I and many others of my cohort are very invested in this Technic offshoot, some to the point of hardly being able to build in System at all. To us, this is our brick, our bread-and-butter. I'm sorry you don't share our affinity for constraction figures, but be assured that the pieces they're built from are quite versatile and suit our needs just fine. Thanks for the shout out for Giving Brick. They do excellent work in my hometown and are involved in the community. They advertise on Facebook for sorting days when they ask for volunteers to sort huge piles of parts into kits for kids if anyone wants to help. I have also seen them out at local events to help engage kids with Legos. Bestest charity evars! I am sad to see a major part of my childhood end this way. This reboot did do some things right, but on most part wasn't that great, and wasn't able to do what Bionicle did. I'm glad that Bionicle happened, I'm somewhat sad to see it go, but I think it needs to be accepted that Bionicle as a LEGO theme is gone, but that Bionicle itself doesn't have to leave. People should keep putting out MOCs and keep making their own stories, but LEGO can and should move on from Bionicle. It was fun while it lasted, and I hope I don't see it get dragged out of the gutter from where Lego beat it into for a second time. I have been a fan of bionicle for 9 years now, and I feel the pain. At the same time, I hated seeing bionicle drag on as a corpse. Well, it comforts me that builders like you and others continue to build despite Lego's decisions. Mr. Jang, thanks for such a well written article, and yes, I will continue MOCCING! Are they completely stopping with the CCBS system besides Star Wars? No more Hero Factory or anything? If so, my kiddo is going to be so disappointed. That's his favorite Lego thing. I just wish so much that they had continued the old story that had so many years of comics books and movies! not reboot the old lore I loved so muuch and replace it with crappy unimaginative storys based towards 6 year olds! Gen 1 was all about being the teenagers lego theme! and gen 2 forgot that! Hero Factory had great potential; indeed it was still good for what it was. Hero Factory's sets did not revolve around gimmicks, but being cool and good. Black Phantom, Surge Brain Attack and Bulk Drill Machine are all examples of sets that have unique traits that make them stand out, but not to the point of crippling the set. Hero Factory's story I'd say, is more developed in a year than Bionicle G2 was its entire span. Hero Factory had a universe since a Bionicle and even Invasion From Below, the most irrelevant series, can actually stand on its own as a show. It's too bad what has happened to Bionicle, but it was the Lego Company's fault for this bad strategy. Stop doing Bionicle in 2009 and then restart it 6 years later hoping it would become extremely popular. Unfortunately it became a boondoggle and were asking way too much for the Bionicle sets. Now there's nothing for Lego Buildable Figures except boring expensive Star Wars Buildable fig which have nothing useful for building materials for MOC builds.